Stand Up and show your support for everyone who has been touched by cancer with this crew neck T-shirt. This sleek midnight navy tee features the classic short version of our logo printed across the front, the URL on the back, and a tagless neck label. 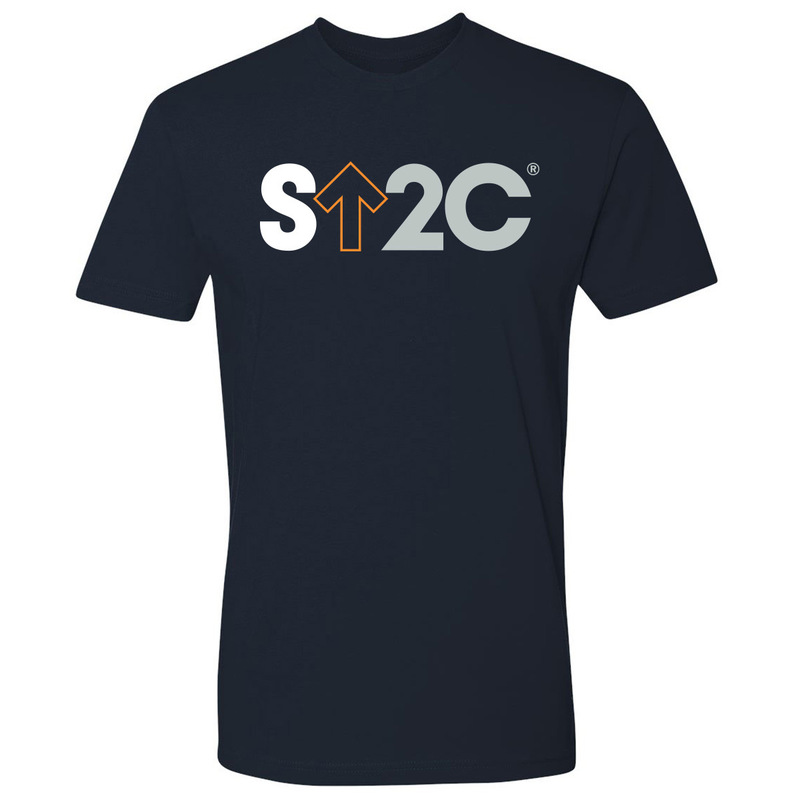 With a comfortable, premium style, this everyday essential is a casual, classic choice for Standing Up To Cancer.